http://www.Julian101.com is the headspace of Julian Stone, CEO of ProWorkflow.com, the leading web based project management software solution. It's the creative outlet for thoughts and opinions on anything related to business, startups, entrepreneurship, creative or the ProWorkflow tool. 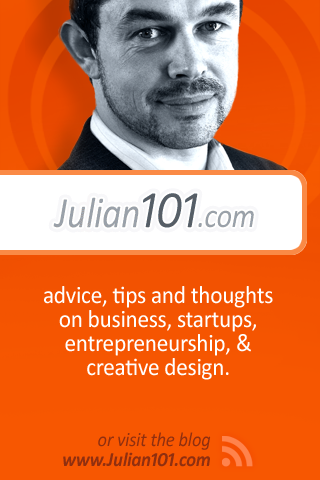 This is simply an easy iPhone app to help you follow Julian's RSS and Twitter feeds.